I make cat toys for my cats by hand kniting or felting my fibers and filling them with catnip grown on the farm. I also put a nut such as an almond inside to give it a little weight. Jasper and Ozzie love them! Contact me for a quote with shipping included based on your location. $3/ ounce (plus shipping). 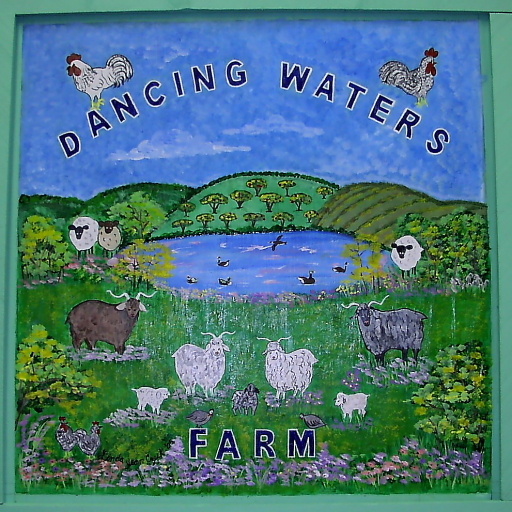 Cat tested and approved by Dancing Waters Farm’s Ozzie and Jasper. Never sprayed with pesticides and only naturally fertilized by the chickens. 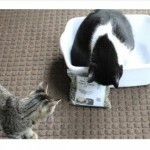 I would not give my cats catnip that had been sprayed with anything!! Strong stuff – my cats will break into the closet, open cabinet doors and chew through several bags to get to this catnip. Contact me for a quote based on your location and number of bags you’d like to order.